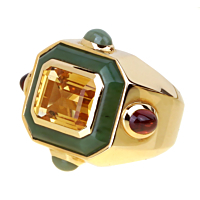 A very chic cocktail ring by Chanel that features a golden emerald cut citrine, and carved jade in 18k yellow gold. 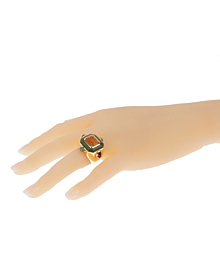 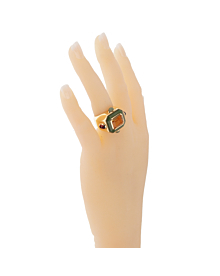 This ring also showcases 4 cabochon oval cut gemstones. 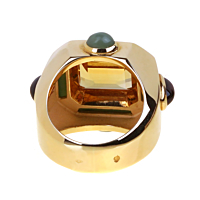 It is a bold and assertive piece of jewelry that will complement your style.